When the unexpected happens, you’ll have peace of mind that GM has your back. 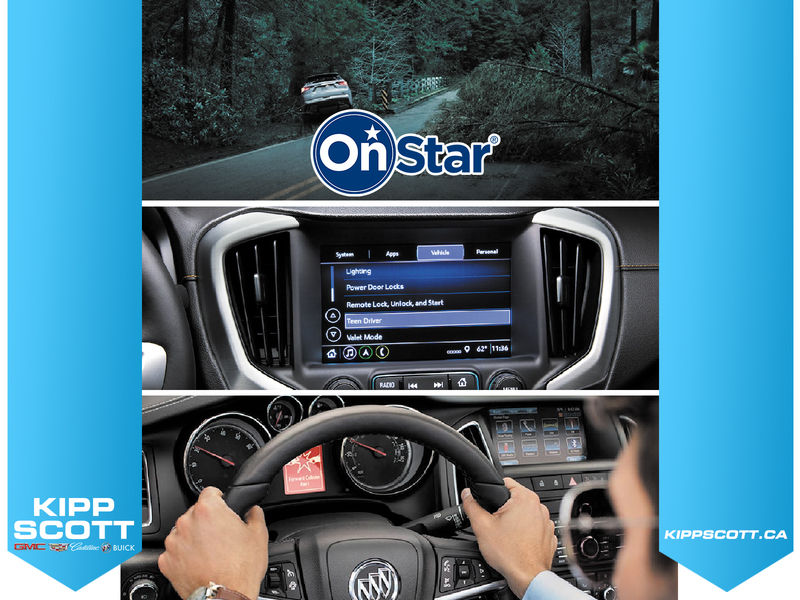 OnStar® is here to give you confidence, safety, and security whether you get into a crash, need to seek shelter from a bad storm, or wake up and notice your vehicle is not where you left it. With the push of a button, a specially trained advisor will be ready to help you with available features such as Automatic Crash Response, Emergency Services, Roadside Assistance, and Stolen Vehicle Assistance. and Traction Control, from being turned off. An in-vehicle report card gives you information on your teen’s driving habits, so you can continue to coach your new driver. detected vehicle much too closely via visual display in the Driver Information Centre. Safety features are no substitute for the driver’s responsibility to operate the vehicle in a safe manner, and drivers should remain attentive to traffic, surroundings, and road conditions at all times.